Alumni Weekend 2019 - 30 Years of Girls' Programming at CRS. We invite the Rising Sun community to our annual summer reunion at camp. Friday, July 19th - Sunday, July 21st. This year we celebrate the 30th Anniversary of the opening of Clinton, and 30 years of Girls' programming at CRS. This year we celebrate the 30th anniversary of the opening of Clinton, and with it, 30 years of Girls' programming at CRS. Join us in the celebrations during this year's Alumni Weekend, Friday, July 19th to Sunday, July 21st. Since this is a special year we will have special speakers and activities. 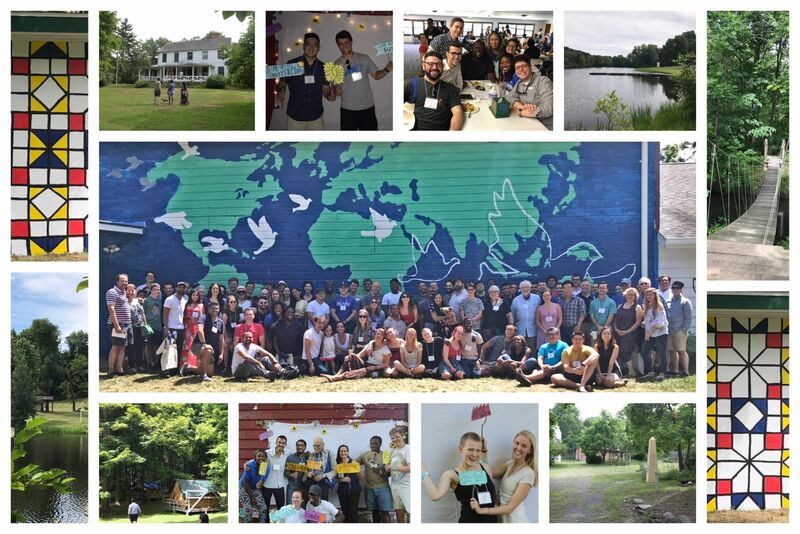 We welcome alumni, families, and friends to Camp Rising Sun to join us for singing, dining, projects, council and more - in short, a weekend full of CRS! The reunion occurs between the two Camp sessions, allowing our alumni to step back in time and be campers again. You can even sleep on tent-hill with your campmates or your whole family. Arrangements will also be made for special room prices at the Rhinebeck Motel. 10.00 AM: Board Meeting (All visitors welcome to attend). This year, there will be a special welcome for these notable reunion classes. Alumni celebrating their 5th, 10th, 15th, 20th, 25th, 30th, 40th, 45th, and 50th reunion can attend the reunion at a 50% discount. Alumni and staff are hard at work connecting with our major anniversary years. We are expecting major turnouts for these significant milestones. If you attended Camp in one of these years please use code REUNION19 for a discounted admission. Students can attend for free in exchange for volunteering 3 hours during the reunion. When registering, use the code STUD2019. If you are unable to attend please consider making an underwriting donation as a way for you to take part in this alumni reunion, help an alumnus/a attend, help offset the cost of the event, and add to the reunion’s overall success. Your generous support is greatly appreciated! No alumni/ae shall be turned away from an event due to financial constraints. Please email Helene at hmattera@lajf.org or Mads Nissen at mnissen@lajf.org for more information. Email us at alumni@lajf.orgwith your questions.